The emotional trauma of selling an inherited home is something unbearable and it can be a deeply personal and overwhelming experience. There are quite a few surprises that you will have to uncover when you get into the process of selling an inherited piece of property; however, there is no need to fret. This post will help you do away with the hassles associated with selling an inherited home along with educating you about how to sell your house fast. Working with the right and professional team is highly important when you are planning to sell your inherited home. Whether you have inherited individual ownership of the home, or have been given shared possession with other family members, it is imperative to have the right team in place to help you in selling your house fast. A professional team will guide the right way and ensure you are staying compliant with the rules and most importantly help you sell your house quickly. Attorney:sign up for the services of a certified attorney who can help you assess important paperwork, which includes the deed, pending mortgages, outstanding property taxes, or any liens against the home. In this case, a professional attorney will help arbitrate any family differences that may crop up during the process. Tax advisor: In order to understand the inheritance and estate tax, you should consult with a tax advisor who will help you in the process together with any tax implications and how to report the earnings from the sale. Other expenses: When it comes to selling your inherited property, you should always be prepared to keep up with the expenses because it might still have a mortgage that needs to be compensated. On the other hand, you will also have to bear the monthly fees associated with the home ownership and it includes electric, gas, water, sewer, waste management, lawn maintenance, HOA fees, utilities and much more. If you want to eliminate the stress of selling a house and make it happen quickly, then look no further than us. Why Fastoffernow? Taking out the bewilderment involved in selling a house, we will help you understand your local market and get you skilled on how to get the best price for your property through our articles, most importantly help you do a quick home sale without much ado. Who are we? 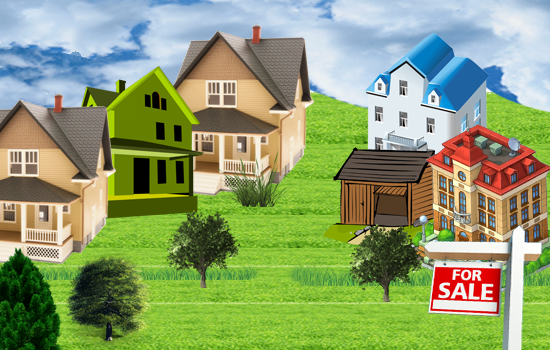 Fastoffernow, as the name suggests we accept your home as is and provide a fast offer i.e. a fair market value the same day, thereby simplifying the tedious task. How it works? Fill out the form or call us at 1-813-498-2007, We will call you once we receive your info, Our experienced personnel analyze the quote and send you a fast cash offer for your home, Accept the offer and your house will be sold. No matter the condition of your property, whether it requires a slight refurbish or needs a major overhaul, we accept your property as-is and give you a fair market value. We cover a wide range of areas like Huntsville, Decatur, Madison, Auburn, Tuscaloosa, Gulf Shores, Dothan, Orange Beach, Houston, Dallas, Fort Worth, Arlington, Corpus Christi, Laredo, Canton, Raleigh, Durham, Fayetteville, Cary, Wilmington, High Point, and much more. The emotional trauma of selling an inherited home is something unbearable and it can be a deeply personal and overwhelming experience.